This week I have been reading all about the different aspects of the Characteristics of Effective Early Learning, in a book of the same title. This is an excellent book, edited by the very knowledgeable and enthusiastic Helen Moylett. 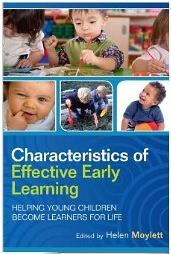 The book has 8 very different chapters, based around the Characteristics of Effective Learning as described in Development Matters (the underpinning knowledge of child development for the EYFS in England). There is a chapter on each of the 3 characteristics: playing and exploring; active learning and creating and thinking critically. As time goes on I’m finding more and more that I’m turning to Twitter for my CPD for the latest news, reviews, reports and information. 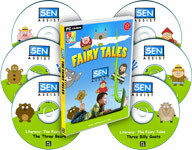 I was very excited to receive my pack of SEN resources from SEN Assist, which are designed to teach literacy, brought alive through fairy tales. 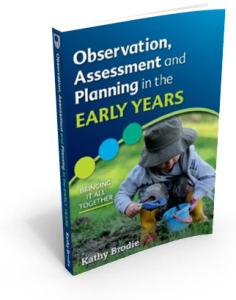 I’m really excited to tell you that my book – Observation, Assessment and Planning in the Early Years: Bringing it all Together – is available, published by the Open University/McGraw Hill. 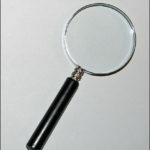 In conjunction with this I now have an online training course, entitled Observation, Assessment and Planning. Find out more information here. 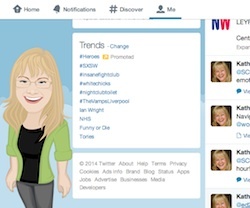 I’ve already written previously on the EYFS Forum about how Twitter can give you some surprising links (EYFS Forum). The one I detailed in that particular article was a book by Jonathan Mugan. Just to recap, Jonathan had tweeted to me after reading the schema and fairies post. He had done some research on schema as part of his Ph.D. on robots learning and has subsequently written a book called The Curiosity Cycle. I had a quick read of the prologue and realised how relevant this book is to children’s learning. I bought it on Kindle and can now confirm that it is a fascinating viewpoint on how and why we should encourage and nurture children’s curiosity above all else. The book is really about how we “actively construct” (page 4) our knowledge of the world as children. What this means is that we use a complicated web of previous information, new information, reinforcement and reinterpretation to make sense of the world around us. 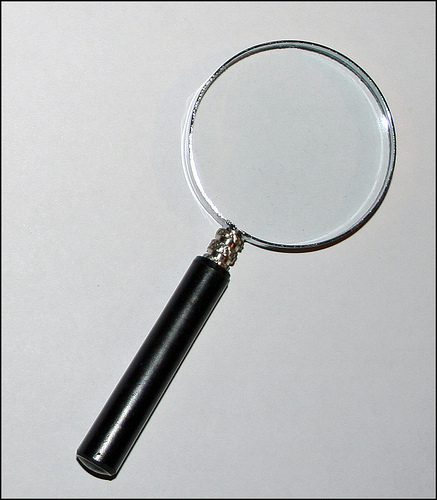 Part 1 of the book investigates concepts and models of our knowledge acquisition. 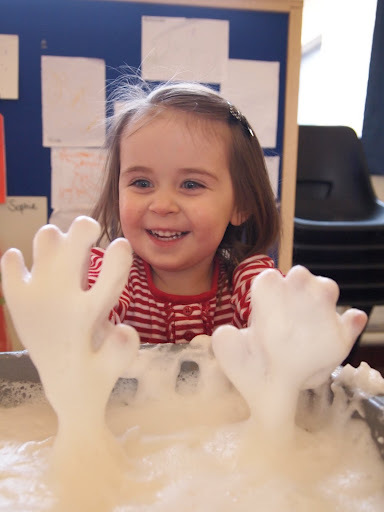 This includes the idea of “supple thinking” which means that a child can adapt and be flexible to different circumstances they find themselves in. The example given is that by learning maths by rote, rather than thoroughly understanding the underpinning concept, is not useful. It will not allow your child to move forward in maths because they won’t have the flexibility of mind to understand, for example, that ‘x’ can represent many different numbers. There are many great examples of discussion topics and ideas for adults and children in part 1. These are mainly aimed at school-age children, although I think some of the more curious preschoolers would understand some of the concepts. One really useful tip that I think everyone could use, is to be specific when talking to young children. So rather than saying to a child “Please can you get me that thing from over there?” It is much more instructive to say “Please can you get me the small blue cup from the top of the medium bookcase?” Apart from the vocabulary, it also encourages children to be specific when expressing themselves. I really love the idea of making the ordinary absurd. For example, exploring the idea that plane travel is flying in the sky sat in a chair or that a tree seed can transform from something tiny you can hold in your palm into a tree, which is bigger than your house. Sometimes as adults it is easy to become jaded about these “ordinary” things that happen all around us. It is a great reminder that these are amazing things and should be shared as such with children. The second part of the book is about children as “embodied social beings”. 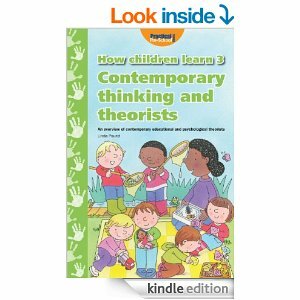 It investigates the idea that children are good at recognising patterns and understanding abstract ideas. Again, there are some great ideas to support this way of thinking. This includes social situations, humour and understanding abstract ideas – with mention of Piaget’s conservation of mass. Emotional embodiment on page 86, talks about “hot” and “cold” states, for when someone is (respectively) “visceral charged” or “cool, calm, rational”. I think this is an interesting way of defining emotions for a young child and could well be used to help children to verbalise and regulate their emotional states. In part 3 of this book we learn how computers are everywhere and are growing in their capacity, both in terms of memory storage and ability to make links – “to think”. However, computers are still a long way behind the average preschooler in being able to think flexibly and creatively. This is currently what gives humans the edge over computers. Mugan goes on to explain how we can support children to be more creative in this technological world and give them the advantage for their world of the future. There is a particularly timely notice about privacy, considering that research has found that children as young as 5 are using Facebook, (bbc news website) and how this may affect people in the future. 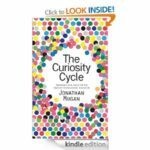 Jonathan Mugan concludes with a particularly sobering thought – “increasingly rapid change is coming and this change will require engaged curiosity to understand it” (page 150). I wonder if this is truly achieved through the EYFS or 2-year-old progress checks? This is why it is essential that practitioners are motivated, curious and involved. This really is a superb book, which has made me re-evaluate how I communicate with my children. The Kindle version on the computer allows you to click through on the websites and research links, which gives a whole new level of reading material. I would say this is essential reading for anyone who is passionate about encouraging curiosity and stimulating individuality and creativity in their children. I am very proud and pleased to have a guest blog today. I first met Alistair Bryce-Clegg when I asked him to come and ‘close’ our annual North West EYP Conference. He was amazing that day – and has been amazing our EYPs in the North West ever since! If you ever have the opportunity to hear Alistair at a Conference, I would strongly recommend you do so. Inspirational and irreverent in equal measure, and with loads of practical, cheap and useful ideas. Which brings us to the blog. 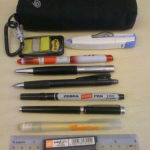 Alistair has very kindly shared this blog with me, which originally appeared on his site in February. You can find it here. He has also written a number of books, which you can find on Amazon or through your local independent book seller. I hope you are as inspired as I was on reading these ideas. Enjoy! It was meant to be a rare day off but it seems that the printing press waits for no man and I had to get my photoshoot sorted out for the next ’50 Fantastic Things’ book. I have to say a HUGE thank you to Jo and all of the team at Penguins Pre-School in Timperley who were super organised and super helpful and made the shoot run like a dream. Add 4 tablespoons of golden syrup to the bag. Zip up the bag and let the children squish. 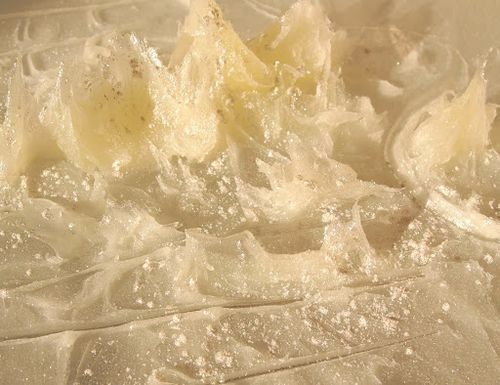 I know that jelly is a regular favourite but it never fails to get great results. We tried putting jelly into various other containers of different sizes, ice cube trays, freezer bags and even a rubber glove, which made for a very squshy hand shake! In the pots of jelly, I asked Jo and the team to add other ‘items’ for the children to look at and fish out. These caused a great deal of interest. You can use this idea in SO many ways. It works equally well on a large or small scale. All you do is to cover a surface (in this case a table) with sticky backed plastic. MAKE SURE THE STICKY SIDE IS UP! You can secure it underneath the table with tape. Then let the children stick various items onto it to make patterns. 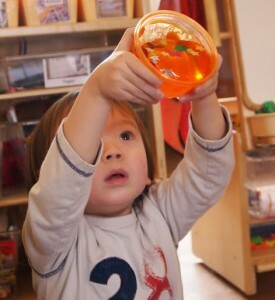 They are always fascinated by sticking their hands to it and feeling the resistance as they pull them away. Pink marshmallows in a bowl. Squirt of washing up liquid. Whizz in the microwave until they begin to melt. 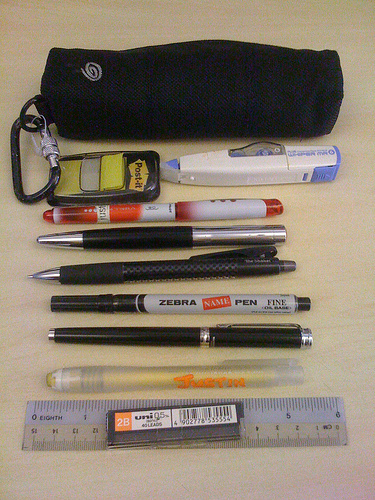 Cool a bit so as not to burn any fingers. That’s it! If you use white marsh mallows you can add food colouring to change the colour of your slime. Hours of fun… White bread, grated or crumbled into a bowl. 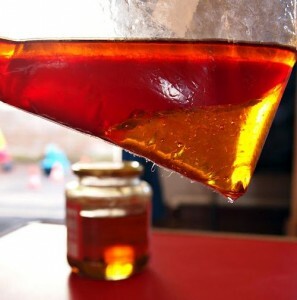 Add PVA glue a teaspoonful at a time, mixing with your fingers. When the mixture becomes slightly tacky (not sticky), then it is ready. You can model with it and then leave it to air dry. If you use flour and water paste instead of PVA you can leave your models out for the birds to eat! The secret to this one is baby wipes! 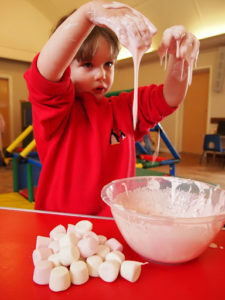 Mix your gloop (or goop) as usual in a builders tray. Then paint it with food colouring. The best way to do this is to dip the corner of a baby wipe into the food colouring and then hold the clean bit. That way you can dip and drag your wipe without getting stained fingers. Once you have made your picture then play in it. Cook as per the instructions. Add colour if you fancy it. Squish whilst warm! Just soap flakes, water and a whisk! 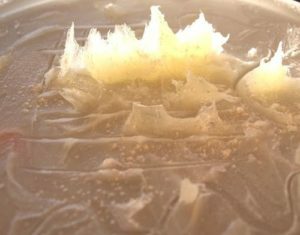 What do you think this squashable landscape it made out of? The answer is Vaseline! Scoop it out onto a glass plate or mirror then put it into the freezer over night. Take it out as you are about to use it. The Vaseline and the plate will have frosted over and stiffened up giving it a completely different texture. If you want to make your Vaseline creation extra frosty then mist it with a water spray before you freeze it. Hope that was a little bit of Thursday night inspiration! It was hard work, but great fun. P.S. 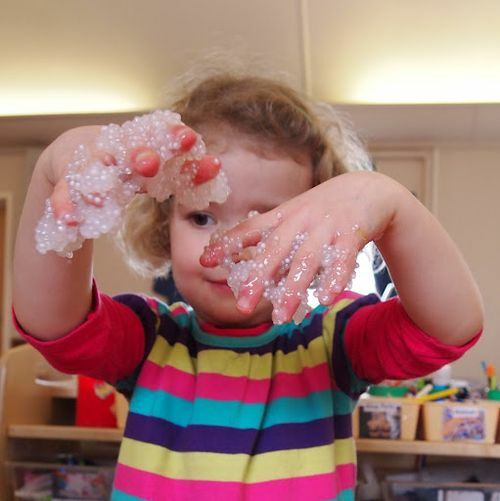 Don’t forget to check for food and skin allergies when you are doing any messy play! I have written in the past about schema. This only gave a brief overview of schema and how they relate to children’s learning. This is a lovely little booklet that explains and describes the 8 most common schemas: transporting, trajectory, transforming, enveloping, enclosing, connection, positioning and finally rotation. Each schema has a double page spread to itself, what signs to look out for and things you can do to extend learning and thinking are detailed. Provide games such as marble run skittles. Throwing and aiming games using balls and other toys. 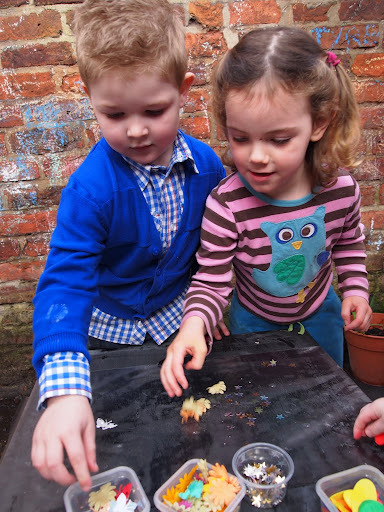 The sort of activities these children might enjoy could be based around rockets and spaceships. This is really straight forward, clear advice that could be used by all practitioners. The real beauty of this booklet is its instructions and lovely pictures that accompany them. In full colour and good production quality it is a booklet that will stand up to the ravages of time in any setting. 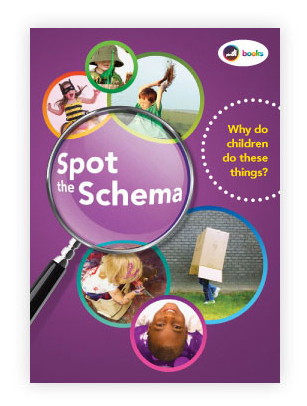 At the back there is included a comprehensive reading list where practitioners can get further information about schema and associated items. This booklet could be used to inform parents or during a staff meeting for practitioners. It will certainly be useful for training courses on schema to leave with practitioners for them to look at, at their own leisure. 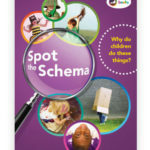 ‘Spot the schema’ is available from www.inthepicture.info/schemas. The kind people at inthepicture gave me a free preview copy.